I’ve never considered myself a great proselytizer for green leafy vegetables. And yet, one morning a few months ago, I was in the Union Square Greenmarket fervidly trying to convince two farmstand workers to start carrying methi—the green leaves of the fenugreek plant that Indians particularly love to cook with. 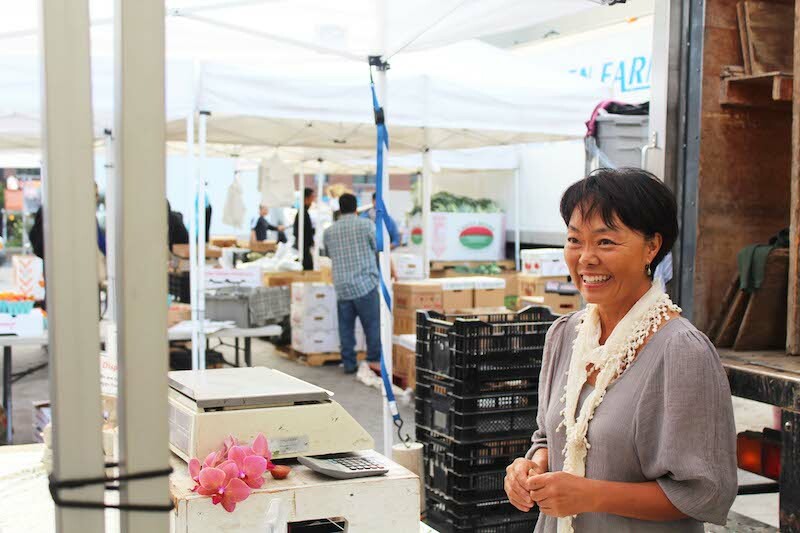 It shouldn’t have been a difficult pitch—both women worked for Bodhi Tree, a farm that brings some of the more interesting Asian produce to the Union Square farmers market. If they just carried methi, I suggested, Indian shoppers were sure to flock to their stall for it. This proved to be a miscalculated parry. One of them, a young, East Asian woman, smiled obligingly and shrugged. “Indians don’t really come to the farmers market, though.” I shrugged back in complicity. Not because I felt she was right but because I was unsure how exactly to prove her wrong. There is a widespread belief that the local food movement predominantly caters to a highly educated white customer with a disposable income to spend on the ethical niceties of sustainable, responsibly sourced food. I’d heard this grouse before, but its claims now seemed enormous and unlikely: the anecdotal evidence implies that not just Indians, but recent immigrants of various backgrounds and income levels, tend to stay away from farmers markets. Seasoned food shoppers in New York know that the best neighborhoods for produce in the city are often those with large immigrant populations. The fruit and vegetables may not always be local, but the customers are vigilant about quality, variety, freshness, taste, and perhaps above all—price. 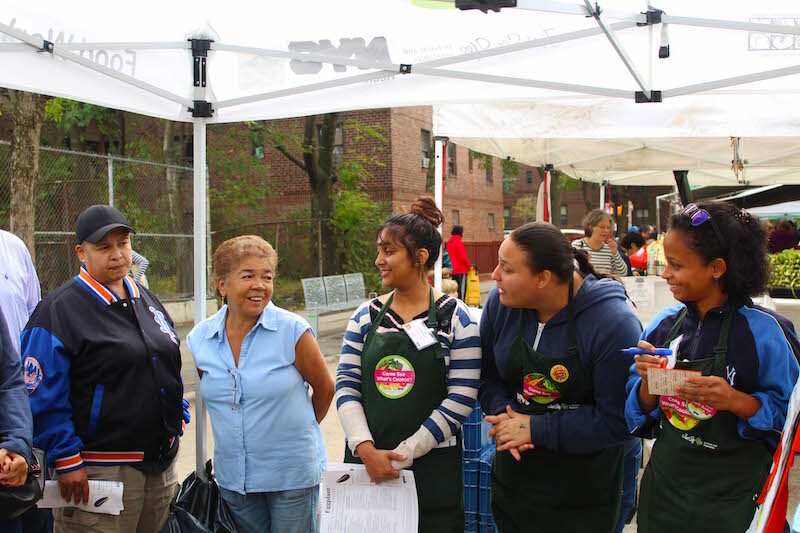 And the interest in produce extends beyond conventional markets, so that there are now thriving farmers markets in Jackson Heights, Sunset Park, the South Bronx, and numerous other neighborhoods in the city that have large immigrant communities. But the Union Square Greenmarket plays a role that none of these other neighborhood markets can. The story of how restaurants like Danny Meyer’s nearby Union Square Café ushered in an age of haute farm-to-table dining by showcasing the bounty of the market has become part of the lore of how seasonal, sustainable eating became cool again. This in turn has lent the market an outsize significance in the local food movement, far larger than the few square blocks it occupies. It has become a flagship for the greenmarket movement in New York and by extension in much of the country. The market, mostly by virtue of being at the center of one of the city’s busiest plazas, draws a varied crowd. 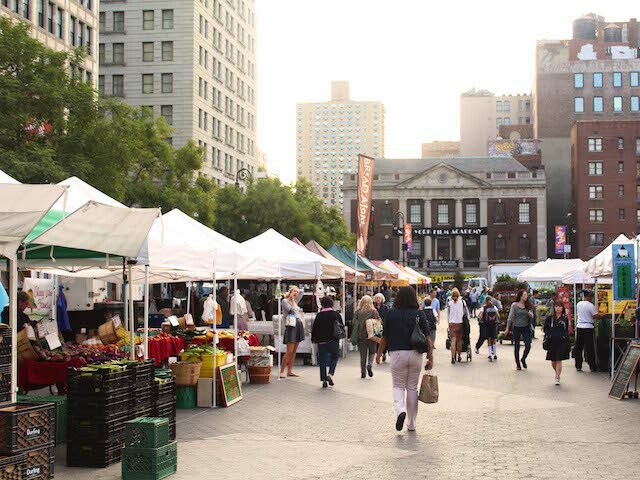 Statistics from GrowNYC indicate that it is the city’s largest farmers market redeemer of food stamps and one of the most diverse farmers markets in the country. And yet, the impression one gets on the ground is markedly different. The majority of the shoppers on any given day seems to be white and relatively well-heeled. The persistent racial and economic dividing lines that crisscross the city have a lot to do with determining who shops at the Union Square market. But they needn’t determine how immigrant participation in the local food movement is weighed in the popular consciousness. The local food movement is fueled to a great degree by the work and appetites of immigrant communities, but it’s hard to get an accurate sense of this while standing in the center of one of the most expensive and least diverse parts of the city. 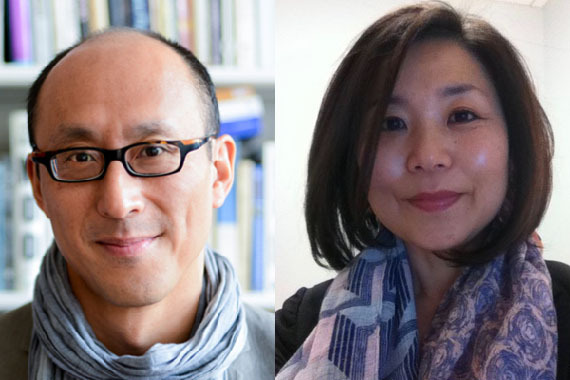 I wanted to gather the experiences and perspectives of people who were involved in the local food movement but who engaged with it via their immigrant backgrounds, or whose work revolved around collaborations between immigrant communities and the local food movement. 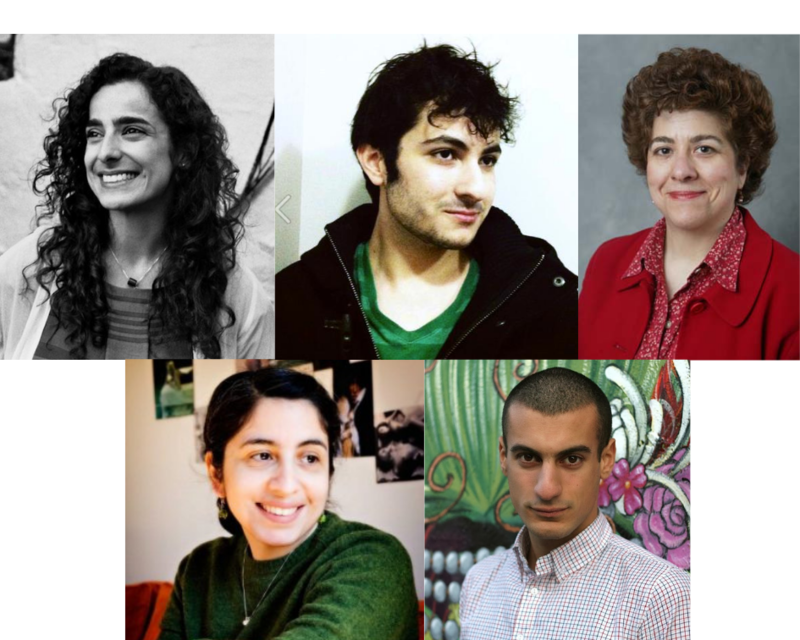 I hoped that the project of collating these impressions might serve as a vital proof that a concern with local food doesn’t have to exclude an immigrant identity, and that I might end up with a broader portrait of the local food movement in the city, one that reflected the real engagement between immigrant communities and the city’s farmers markets. Julie Sahni is an icon in the world of Indian cooking. 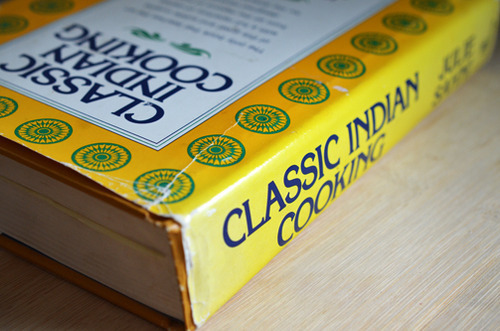 Her book Classic Indian Cooking is a revelatory tome. Not just because of the recipes, but because of her erudite, sage treatment of the subject of Indian food. She provides minute details about the provenance of dishes, but also contextualizes and regionalizes Indian cuisine in a way that brings the food and the traditions behind it alive. Sahni has followed the development of the farmers market scene in New York City from the 1960s, when she first moved to the United States—and when there were far fewer options for fresh local produce of any kind to be found, let alone fresh specialty ingredients that Indian shoppers might have been looking for. When I speak to her on the phone, she describes the merits of the perfect peach with an almost mystical abstraction—I can see her in my mind holding the paradisiacal fruit out to me for inspection. She taught her son to appreciate the value of the farmers market as a young boy—by standing him in its midst with his eyes closed and letting the smells and sounds envelop him. But these less-tangible virtues of the farmers market are often a lower priority for many Indian shoppers, a fact that Sahni resignedly concedes. She stresses the importance of paying top dollar for good produce, even when it means you might have to pay $2 for a single sublime tomato. And though it may take some work to convince Indian shoppers of the prudence of this approach, Sahni is optimistic that things will ultimately change, and that the next generation of Indian shoppers might find it easier to appreciate the work that goes into producing and selling local food. I have my own reservations about paying farmers market prices for produce, but I’ve grown used to ignoring them—partly out of custom, but also out of a feeling that this is the price for entry into a certain kind of civil, right-minded society. Food pricing in the United States is a convoluted and fraught subject. On the one hand, the cost of staple foods in the United States is lower than in many countries around the world. But recent arguments insist that these lowered prices are achieved largely through a reliance on low-paid undocumented labor and large-scale industrial-agricultural practices that can have adverse affects on the environment and the quality of the food being produced. The common wisdom among those advocating for fairer, more sustainable food production and distribution is that higher prices generally indicate that closer care has been paid to the welfare of the workers who harvested or packaged the food, the animals who produced it, and the environmental effect of getting that food from a farm to the market. I pay a certain price for tomatoes and that makes me more like the other good, conscientious locals at the farmers market than my mother, who, when she visits from India, views all the produce at the farmers market as an outsider, with a certain skepticism. On a recent trip to the Grand Army Plaza farmers market she mused that it was a good thing vegetables didn’t cost this much when I was growing up in India or we never would have eaten any. I cringe every time I have one of these conversations with her, partly because I realize that I have more of that squirreling-away instinct in me than I often acknowledge and that my feeling for immigrant thrift often necessarily butts up against my efforts to eat more responsibly and conscientiously. But even for those immigrants who can afford to shop at the farmers market, other obstacles still remain. Cultural barriers can often be just as pernicious as monetary ones. Sahni describes going to Lincoln Center in the 1960s and seeing no Indians there at all—unless there was an Indian performer, in which case it would be standing room only. 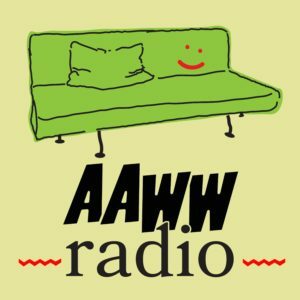 Some of these impediments are socially imposed, but others, she suggests, are a sort of defense mechanism against a world that can seem new and hostile—in which a crowd of like people offers some assurance of being accepted and even welcomed. For many shoppers, Sahni among them, part of the appeal of a farmers market is the opportunity to talk to the farmers, to hear about the produce, to make small talk. This is something Indians ought to be familiar with. It’s the oldest play in the grocery shopping book: the vendor asks kaisi ho behenji—how are you, Sister? What are you looking for? Even today, if you shop for fruit at a sidewalk vendor in India you’re likely to be asked what day you’re planning to eat your purchase and specimens will be hand selected for you accordingly after some discussion of your health, whether your in-laws are visiting, and the weather. It’s a currency that smart shoppers are familiar with, but one that doesn’t always translate into a new social medium. It’s easy to think of trading banalities with your local fruit vendor as a nonessential nicety, until you find yourself in a new country without the language, or more often the social cues, you need to make this small talk. The impersonality of supermarkets may in fact be the thing that many new immigrants find useful—the welcome prospect of conducting the entirety of your transaction without so much as making eye contact with another person or being reminded of the difficulties of assimilation. But not all local food appears in social settings. Some of it grows wild and there are those who strike out on their own to forage for it—whether it’s picking up ginkgo berries from the ground in the city’s parks or hunting for nettles and Japanese knotweed. Ava Chin is the author of the New York Times Urban Forager column, in which she writes about foraging for vegetables, greens, fruit, and other wild comestibles in the vicinity of New York City. Her recent book, Eating Wildly, describes how foraging helped her at a critical personal time in her life, and how a childhood of adventurous eating turned her into an urban forager. I reached out to her, looking for the perspective of someone who was ostensibly even more local than the farmers markets. Urban forager Ava Chin holds wineberries. Photo courtesy Ava Chin. Though she’s a consummate forager, Chin isn’t pious about how Chinese communities in New York eat. When I ask her why so few Chinese cooks shop at the farmers market she pauses a second, as if doubting that I could really be confused about this. “Well… there are just so many Chinese supermarkets that have great produce.” This is true—there are. And the selection is always great, fresh, varied. But what about locally sourced food—what about sustainability? Chinese broccoli could probably grow in New York without issue—in fact there’s probably someone out there growing and selling it already. But what about tropical produce like kari patta, the peppery green curry leaves that Indians use in everything from dhals to pilafs to vegetable stir-fries? The plant grows without encouragement in various parts of India, but tales of Indians trying to grow it in the northeastern United States are almost comical in frequency. Sahni told me that she’s grown (and buried) an uncountable number in recent memory. But she points out that kari patta can be grown in greenhouses, and is grown at Bhatia Nurseries in New Jersey. The problem is getting more small farmers to grow and carry it. The question of whether or not small farmers can grow and sell specialty produce (the semi-coded term for food favored by recent immigrants) pits two great virtues of the local food movement against each other: its dedication to sustainability, and to a lesser degree, its interest in cosmopolitanism—the kind that encourages shoppers to try new and unfamiliar ingredients (many of them immigrants themselves, like French or Dutch potato varieties or Asian radishes). Though some of these vegetables inevitably find their way to the larger, more prominent city markets, ingredients like papalo and epazote still remain largely on the fringes of the city’s appetites, partly out of fear that they won’t sell otherwise. The gap between the diversity of the workers at even the most popular farmers markets in the city and the produce on offer underscores a distinctly racial dimension to this discussion. It’s not uncommon to see Latino or South Asian workers at the farmers market, unloading crates of vegetables or making change. One of my favorite stalls at the Union Square farmers market is manned entirely by Nepalese immigrants and I love hearing the sound of Nepalese being spoken when I’m there, or having someone occasionally say something to me in Hindi. Recently two Tibetan women working at the Grand Army Plaza market, discovering that I was Indian, wished me a happy Independence Day and sang the Indian national anthem to me. There is a significant immigrant presence at the farmers markets, it’s just not always represented in the variety of produce on offer—an indication of customer interest, but also the limited say immigrant workers have in determining what’s on sale. These lacunae—between the people producing the food and the people consuming it—are an inescapable part of the local food movement in many parts of the country. The general farmers market shopper is familiar with the ailments of conventional farming: dangerous monocultures of crops, indentured labor, inhumane treatment of livestock. There’s less awareness of the problems that plague small- to mid-scale local agriculture, especially in New York State. Margaret Gray’s book Labor and the Locavore is a study of labor practices at farms in the idyllic Hudson Valley north of New York City. Gray is an Associate Professor of Political Science at Adelphi University, and in her book she recounts the experiences of often undocumented workers who endure labor abuses, disenfranchisement, and fear in her more than ten years’ worth of research and interviews. The idea that there could be widespread labor abuse in a region as renowned for its progressive food ideals as the Hudson Valley highlights the ways in which consumers are often fed a sanitized version of where their food comes from, even when they seek to make informed, responsible choices. The book highlights how agrarian ideals can be used to mask and suppress labor concerns among an often undocumented workforce with few options for legal recourse at their disposal. 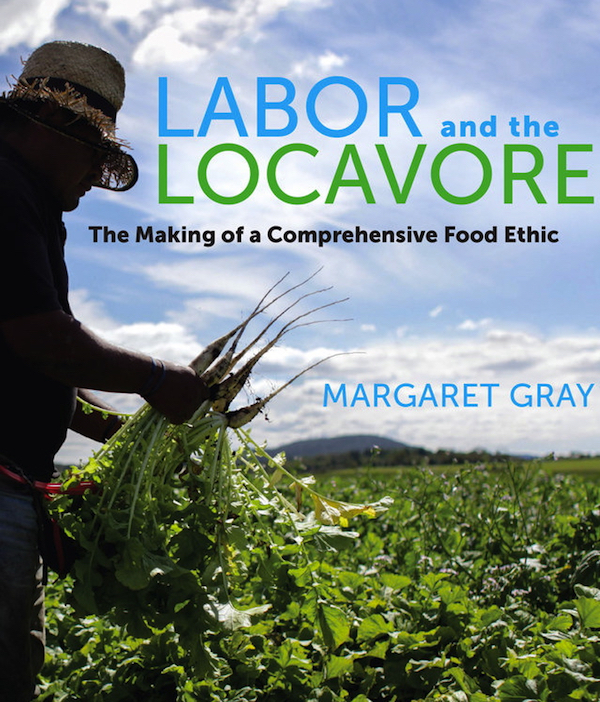 Labor and the Locavore by Margaret Gray is a study of labor practices at farms in the idyllic Hudson Valley north of New York City. I talked to Gray about what accounts for the gap between labor and consumers in the farmers market economy, and what can be done to bridge it. Our conversation is a blunt reminder that the obstacles that many immigrants face run much deeper than a discomfort with going to the farmers market. The situation for undocumented immigrants working on farms and even for those on guest worker permits is precarious and nerve-wracking. They’re often asked for immigration documents during routine stops by police, and a common fear is that ICE (Immigration and Customs Enforcement) officers will be waiting for them when they go to collect their paychecks. Many workers never leave the farms that they work on, relying instead on the farmers they work for to buy their groceries and even send remittances to their families in their home countries. 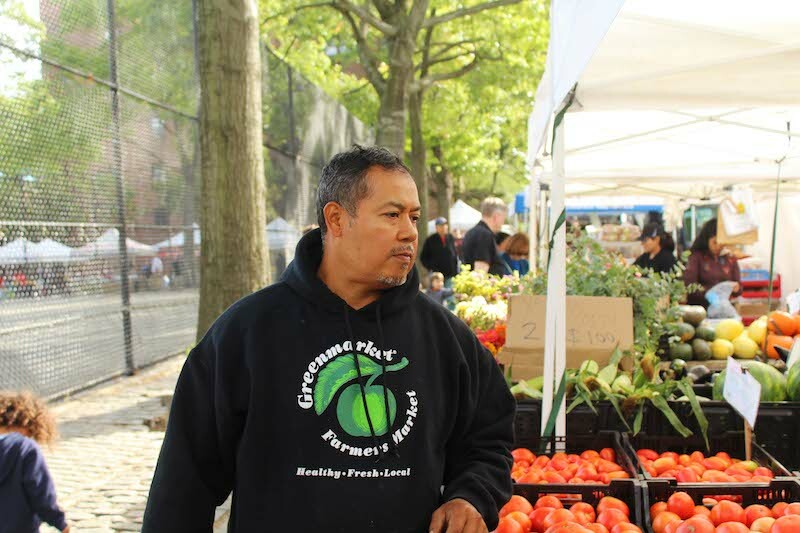 The need to make the local food movement feel more welcoming of immigrants is emerging as a major concern on all sides of the issue—from the workers to the consumers, to immigrant farmers who are increasingly joining the ranks of small farmers who sell their produce at farmers markets around the state and in New York City. GrowNYC (the parent organization that runs the majority of New York City’s farmers markets), is in the third year of running its FarmRoots program, which holds workshops on agricultural practices, finances, and other practical matters for emerging immigrant farmers. The program pairs immigrant farmers with established farmers (many of them immigrants themselves) who can act as mentors. Though the FarmRoots name is new, the program has been around for 15 years under its old moniker, the New Farmer Development Project. Programs like this go a long way toward enfranchising immigrants and giving them mobility within the local food movement. Immigrant farm owners get to decide for themselves what crops to carry and they’re looking at produce that comes from their home countries. These farmers are theoretically free to carry herbs like papalo, epazote, or even fenugreek greens. But vendors are still subject to the laws of supply and demand, and so-called “ethnic” produce can be a harder sell in many neighborhoods in the city. Wayne explains that they often try to place new farmers at the bigger Manhattan and Brooklyn markets, but a crucial part of the success of any vendor is finding an audience. And it can be hard to find an audience for unusual greens in less ethnically diverse parts of the city. After a week or two of disappointing sales, vendors often ask to be moved to communities where shoppers are familiar with their produce and there isn’t as much need to educate consumers about what they’re selling. Trying to change the makeup of the average customer at the city’s more central markets is sort of like trying to manufacture a soft-boiled egg from a fully baked cake. 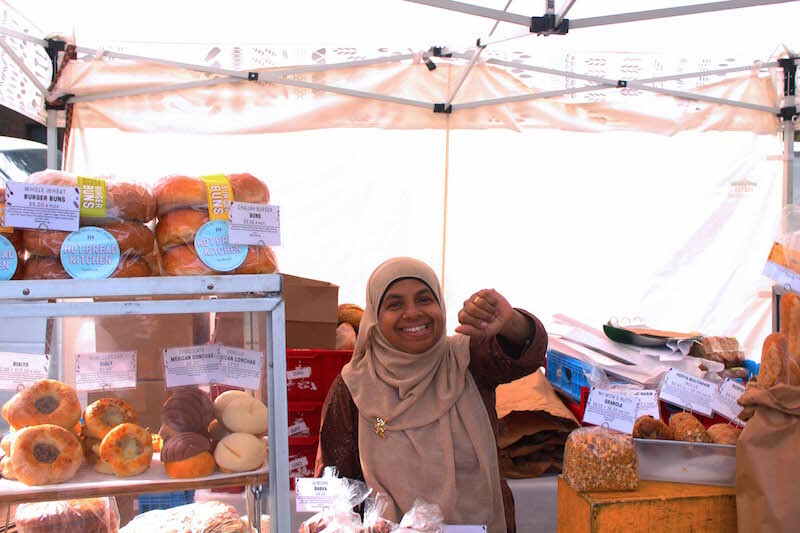 But there are immigrant success stories at the Union Square farmers market: farmers like Nevia No, who buck the trend and sell unaccustomed ethnic vegetables and have hordes of loyal customers who travel from across the city to buy them. Nevia No started Bodhi Tree ten years ago, after a career as a dancer. If you’ve been to the Union Square farmers market then you’ve undoubtedly walked through her stall—a pristine white tent with baskets of beautiful lettuces alongside a broad variety of Asian vegetables—from turnips to radishes to carrots. No is a theatrical speaker, wide-eyed even on the phone, with an earnest, plaintive manner of explaining herself. I can’t quite tell if she’s serious when she tells me that she thinks she became a farmer as punishment for having turned to vegetables so late in life. Our numerous emails coordinating a time to talk have all been working around when she won’t be on her tractor. She gets people to buy new produce by doing demonstrations, showing them what to do with Japanese sweet potatoes or celtuce (stem lettuce) and letting them taste the cooked vegetables. But the process isn’t easy or quick. “It usually takes me two to three years to educate people and make them fully understand about the usage and the taste and the flavor of anything that I bring to the market,” says No. But people’s willingness to try new produce may be growing. Michael Hurwitz, the director of GrowNYC, tells me an anecdote about their Fresh Food Box program. Once a week, GrowNYC offers boxes of seasonal, sustainably grown produce that you can buy through local partners in underserved neighborhoods in four of the five boroughs (Staten Island isn’t included yet). The boxes bundle together produce, and cost about half what the contents would cost separately at the farmers market. Just a couple of weeks before I talked to him, one of his farmers had suggested adding—of all things—fenugreek greens to the boxes, and they had been a huge success. People were raving about this new green that they hadn’t tasted before. The story illustrated that the appetite for so-called “ethnic” produce could be larger than expected, and that engagement between recent immigrant communities and the local food movement didn’t have to revolve around single remote venues like the Union Square farmers market. That, in fact, engagement between immigrants and the local food movement was taking place all around the city if you just knew where to train your gaze. I’ve been a regular at the Jackson Heights branch of Patel Brothers, the Indian grocery superstore, for almost a decade. Any Indian cook who lives in New York City and doesn’t want to pay Manhattan prices for staples like ghee and lentils has done their time in the aisles of Patel Brothers. The store caters to a mix of Indians, Pakistanis, and Bangladeshis that you’d never see assembled together in any of their respective home countries, along with a smattering of Latino, Asian, and white shoppers—an inverted but generally true reflection of the population of the neighborhood. I’d always thought of Jackson Heights as the main stronghold of Indians in New York. The place where I could buy traditional Indian ingredients, at shops like Patel Brothers that carry a huge variety of specialty ingredients but don’t necessarily worry too much about locally sourced produce or sustainability. But the neighborhood is also home to a bustling farmers market, a model for how immigrants can come together in their own communities to support local agriculture. The market boasts a number of immigrant farmers, the clientele is diverse, and “specialty” produce is well represented. By the time I finally make it to the market, which is held on Sundays alongside Travers Park, one of the few public green spaces in Jackson Heights, it is a furiously hot summer day. By mid-morning, the air feels like it is being belched out of a furnace and shoppers dart from the shaded precinct of one farmstand awning to another, trying to avoid the withering sun. The crowd is thin but enthusiastic. An old white lady is giving a lecture about bread to a woman in a headscarf manning the stall for Hot Bread Kitchen, an organization that makes and sells specialty breads from around the world. The money raised helps them give job training to immigrant women from across the city. Both women are laughing—the old lady content to have spoken her piece, the woman in the headscarf happy to hear her out, offering some goodhearted conciliation. Further down the ranks I come across Sergio Nolasco of Nolasco Farms, hauling large boxes of produce out of the sun into the blue gloaming of his stall. Boxes full of red amaranthus leaves, papalo, and epazote are stacked up in front of buckets of daisies and cattails, beginning to wilt in the heat. An older black woman stops Nolasco to ask how to choose a good eggplant. He presses and turns a few specimens from a pile of the variegated vegetables. “Choose the ones that are less yellow, those are better.” The woman seems unsure. She asks him if he would pick out a few good ones for her. He quickly sorts through the pile of nightshades, criticizing some for not being as good as the others, making an effort to find her the best eggplant in the pile. While he digs around, many others stop to thank him for some purchase from the week ago, or to ask about some other unfamiliar vegetable. At the far end of the market there are two small stands set up by the NYC Department of Health, manned by two young women and a young man. One of the women—her name is Lizzette Bon—is on her haunches behind a table, inspecting a Tupperware container filled with soapy water and dishes. She tells me that they do weekly classes to teach children how to cook with the ingredients at the market. Do they get a pretty diverse crowd? “Oh yeah!” she exclaims. “Kids from all backgrounds.” Eduard, the young African American man at the booth next door adds, “The parents come too.” He teaches the classes for adults. This group of young people—eagerly spelling out the benefits of healthy eating and educating young children—have the air of a gang of enthusiastic camp counselors. The crowd is persuasively mixed. Young, old, White, Black, Latino, Asian, South Asian—they’re all milling about and checking out the produce. I spot an older Punjabi man in a turban picking out vegetables with a plastic bag on his arm—probably on assignment from his wife. This would have been my father when I was growing up, dispatched by my mother to the mandi—the large open-air vegetable market that local farmers brought their produce to once a week. I notice a young South Asian woman in a salwar kameez sorting diligently through a pile of radishes. I ask her what she’s going to do with them. We talk in a combination of English, Hindi, and Bengali. She tells me that she’ll cook the radishes very simply with a little oil and some spices. She makes a hacking motion with her hand across the greens—these she’ll turn into shobji, a word I recognize as a cognate to the Hindi subzi, a catch-all that can refer to any number of vegetable preparations. Her name is Kobita Roy and she’s lived in the neighborhood for five years. I ask her if she comes to the market often. “Oh, yes, all the time,” she says, nodding. And does she shop at Patel Brothers nearby? “For some things, yes,” she says, referring to those ingredients that one will probably never see at the farmers market, like drumstick, the long, fibrous tree-borne fruit that often makes its way into Bangla charchari and other dishes. But why not just get her radishes from there, too? She smiles politely, as if unwilling to offend anyone. “This is good,” she says, shaking the bunch of radishes in her hands and closing the matter. Does she ever buy fruit and vegetables that she wouldn’t have been able to find in Bangladesh? Yes, she says, pointing to her son, who is exploring the stall on his own, poking at fruit and ducking under counters. He likes to try everything new. Surrounded by the rabble of shoppers, I feel immersed in something simultaneously new and age-old. A few weeks earlier I’d talked to Suvir Saran, a former executive chef at Devi, one of the most prominent Indian restaurants in New York. He’s spent much of his life advocating for local, sustainable food. He and his partner now live on a farm upstate where they raise chickens, alpaca, pigs, and tend a vegetable garden that supplies enough to furnish them and their friends and family with produce. When I asked him what he thought could be done to encourage the local food movement to embrace immigrant communities, he bristled at the notion that immigrant communities should be thought of so separately from a movement that owes so much to them in the first place. “Who do you think brought farmers markets to this country?” he asks. Trying to get a good look at the local food movement is sort of like trying to scan the bottom of a pond in the middle of the day. It’s hard to discern the depths because of the more brilliant reflections playing on the surface. The efforts of those people who are striving to make local food a workable reality for recent immigrants, and especially low-income earners, are numerous and commendable. Organizations like Hot Bread Kitchen, GrowNYC, and the NYS Department of Health are doing important work to make it easier for immigrants to get the food they need in a sustainable and affordable way. All the same, the problems facing immigrant shoppers aren’t imagined. The Union Square Greenmarket may not give a full picture of who shops at farmers markets in New York, but it’s an image that has weight and influence. Mistaken notions can exercise as much power as real ones. 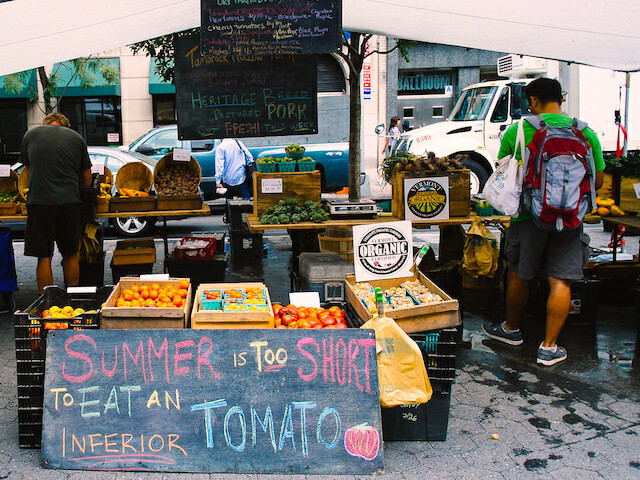 Margaret Grey points out that there’s work to be done in fighting stereotypes about who uses farmers markets, especially among low-income earners and recent immigrants, who often see the markets as spaces for privileged white shoppers. She opines, “The people who don’t shop there have their own idea of what the farmers market means and it’s related to what you see on the Food Network and the fancy foodie shows.” The media is saturated with images that conflate conscientious eating with fashionable, upwardly mobile living, something that many recent immigrants, necessarily concerned with price and convenience, can’t relate to. The most commonly told story of food in this country still revolves around certain foundational fictions, one of the most pervasive of which ignores the myriad backgrounds of the people who make and consume food in America. If anything, this optical problem is even more pronounced with the local food movement. You could easily argue that the proper corrective to this narrative is a good dose of unsentimental reality, a vision of food production and industry stripped of romanticism. It’s hard to dispute that a certain capitalist-romantic notion of food has done a great deal to exclude many communities from the local food movement, or withhold the credit due to them for its success. But it would be unwise (and a shame) to believe that the romance of food can’t play a role in creating an accurate and more inclusive picture of the people involved in getting us fed well and locally. Food is about nourishment, but it’s also about celebration and pleasure, elements that ought to be corralled into creating a closer relationship between local food and the varied communities it feeds. Before I leave the Jackson Heights farmers market, as I’m thanking Roy for taking the time to talk to me, her son comes up to her with a prize in his hands. “Ma!” he shouts, pushing in between us. He presents his hand to her and explains: “Sour Cherry!” He speaks the words with a young American accent. In his palm he’s holding out a smooth, dark orb to her, like a gift. A great part of the challenge ahead lies in dismantling notions of who belongs at the farmers market and who doesn’t. The state of local food only stands to profit from gaining the largest most diverse audience possible and giving them something to delight in. The elements are already at play at the Jackson Heights farmers market and elsewhere in New York—from the buzz of young families discussing dinner plans for the groceries they’ve just bought to the giant speakers on the corner broadcasting a welcoming, festive music into the air. Rohan Kamicheril is a freelance writer and cook. He lives in Brooklyn, where he runs The Tiffin Club, a dinner series that explores regional Indian cooking. His writing on food, travel, and international literature has appeared in Gastronomica, Asymptote, Words without Borders, and Hemispheres.